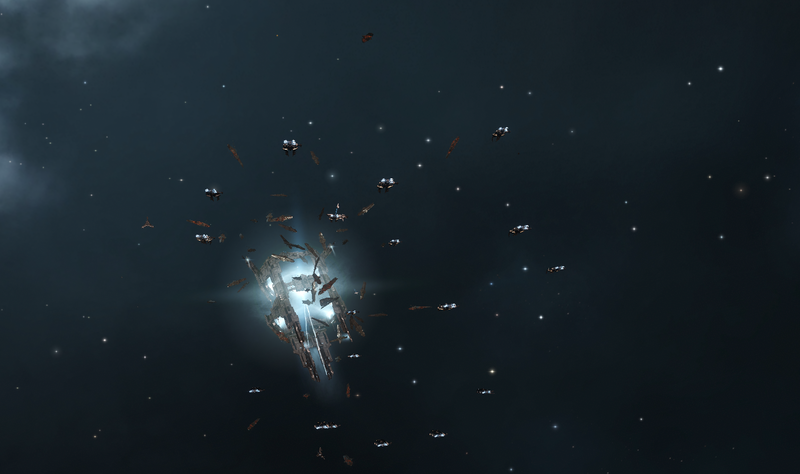 Aurora News: Large Drifter fleet sighted in Caldari space! 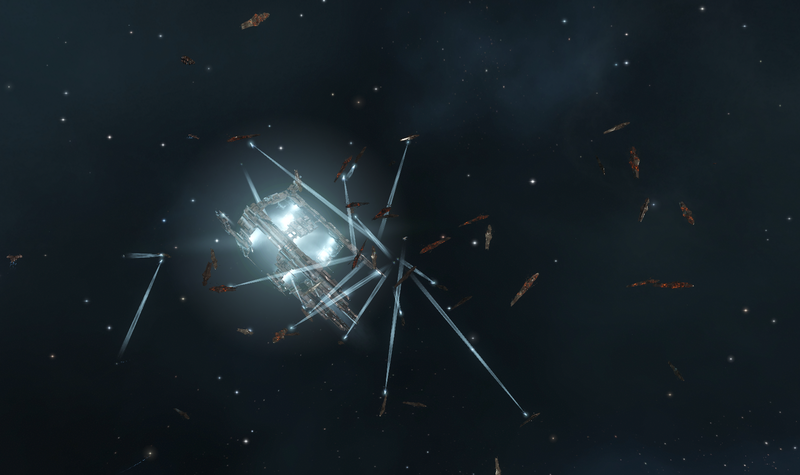 Large Drifter fleet sighted in Caldari space! After a week of silence, the Drifters have returned with a large fleet in the Sirppala system. They were originally sighted by the Spectre Fleet community. This info was quickly relayed to ARC, allowing them to quickly sent out observers to gather information & formulate an appropriate tactic to counter them. As with last week sightings, the Drifters were all damaged heavily, without a clue to who or what did this. No major aggression either, outside the few clueless capsuleers who attacked them & got quickly disposed of by the Drifters. However these rogue attacks caused the Drifters to call in two waves to reinforce them, swelling their numbers to 51 Drifter battleships, a potentially high risk in high security systems. This also complicated matters for ARC & their allies, as such a large Drifter fleet needed a good coordination & numbers to be able to take them down. The ARC officials decided on a similar approach as in the Rens confrontation last week, namely fight them with waves of cheap & disposable high damage ships. They just had to gather the numbers. A Charon freighter fleet being scanned by the Drifter fleet as they pass through. But time worked against them, as the Urlen gate in the Sirppala system is an important link between the Jita-Amarr trade route & the major Drifter presence caused alot of concern for the passing traffic. That the Drifters sometimes destroyed a ship did not help to calm matters. Usually it was a rogue attack by a lone capsuleer. But transports hauling corpses were under threat of Drifter attack as well. One spectacular incident with an Orca showed this. As the ship arrived, it suddenly got focused by the Drifter fleet & subsequently exploded it a massive bright lightflash. After inspecting the cargo, it turned out the Orca was hauling a large load of capsuleer corpses for reasons unknown. It's known for a while now that Drifters have an unusual interest in capsuleer corpses, gathering them when they can & actively attacking those who transport such corpses. Once ARC officials gathered enough capsuleers, they went over the tactics once last time as people boarded the ARC provided Coercer destroyers. While fragile, these ships can dish out a good punch compared to their cost & the Drifter weapons render all but the most formidable defenses useless. Under ARC official Makoto Priano, the capsuleer fleet gathered outside the station before they warped in as one to launch the first strike on the Drifters. The first strike took down a few Drifter battleships before they got obliterated. But capsuleers are stubborn & do not fear death, allowing them to regroup quickly at the station, reform the fleet with new Coercers & warp in as one, to take on the Drifters once more..
Once more the Drifters burned the capsuleers off the battlefield, but the capsuleers just regrouped, boarded new ARC provided Coercers & kept going, wave after wave, each time taking down more Drifter battleships. 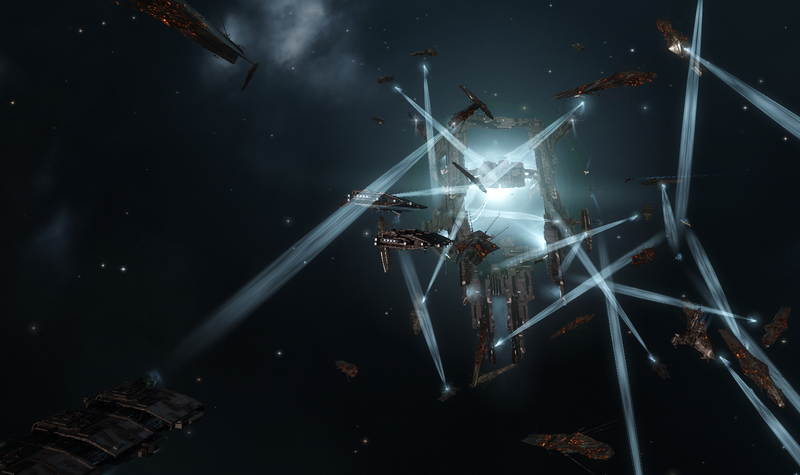 And then, at the 4th attack wave, the Drifters just ceased firing, allowing the capsuleer fleet to remove the remaining battleships rapidly from Caldari space with minimal ship losses. The fleet remained in position for a while, on alert for possible reinforcements, but they did not arrive. In the end, roughly 100 Coercers were destroyed in favour of 51 Drifter battleships, a very good tradeoff, showing the improvement the ARC organisation made in their Coercer doctrine after the Rens encounter. Thanks to the effort of ARC & allies, Caldari space and the Amarr-Jita trade route was once more secure from potential Drifter threats. Several observations made during this encounter matched what occurred at Rens last week. - The Drifters called two waves of reinforcements after they got attacked. 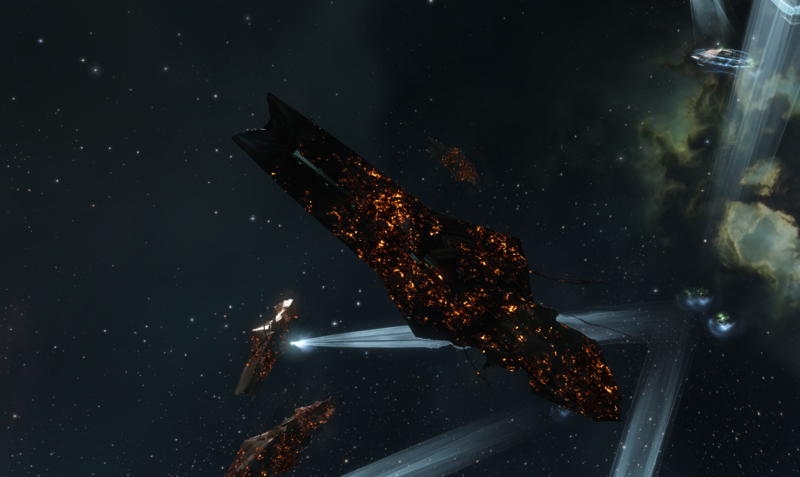 At Rens this happened after the ARC fleet attacked them, causing them to fight two waves of Drifters. At Sirppala, rogue attacks by lone capsuleers caused these reinforcements to appear long before ARC had gathered enough capsuleers to strike at them, forcing a battle against 51 Drifter battleships, a formidable force. - They ceased defending themselves after a while. This occurred at Rens & occurred again at Sirppala. After they lost a considerable number of their fleet, the Drifters just ceased defending themselves, allowing the capsuleer fleet to defeat them easily from this point onward, saving the few shots fired by their doomsday weapons. - They all were damaged heavily, their armor gone & their structural integrity heavily compromised by unknown events. So far we still don't have a clue what happened to these Drifter fleets & why they venture in our space. - They were scanning the system gates. In Sirppala, they first scanned the Inaro gate, but then moved to the Urlen gate & stayed there for the duration of the encounter, intensely scanning the gate & all the passing traffic for reasons unknown. To this day, we do not know why the Drifters leave wormhole space to scan gates in our space, nor why they do it in their heavily damaged state. While it's unlikely that they prepare for a large scale conflict this time, we cannot be cautious enough, requiring us to fight these Drifter concentrations, as we cannot risk a second Drifter / Amarr conflict or anything similar. Rest assured that Aurora News will share any reveals of this mysterious behaviour as soon as we can; to put to rest any speculations that could arise! Aurora News: A new beginning.